British shoe brand Oliver Sweeney has garnered a fascinating following since its launch in 1989 and is all about taking the traditional and give it a contemporary twist. 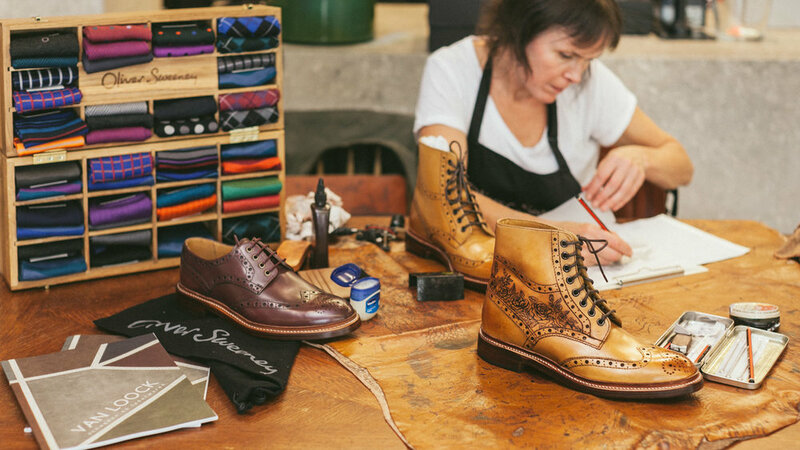 Widely known for their crafting award-winning footwear, Sweeney has blossomed into a renowned British brand that produces everything from hip-flasks and socks to sweaters and men’s fragrances. When there’s no pop-up event in your area, it’s also possible to order your pair of tattooed shoes online. After choosing your Sweeney product you choose your design and fill out the tattoo form. Once submitted, the Tattooist-in-Chief reviews your proposal. 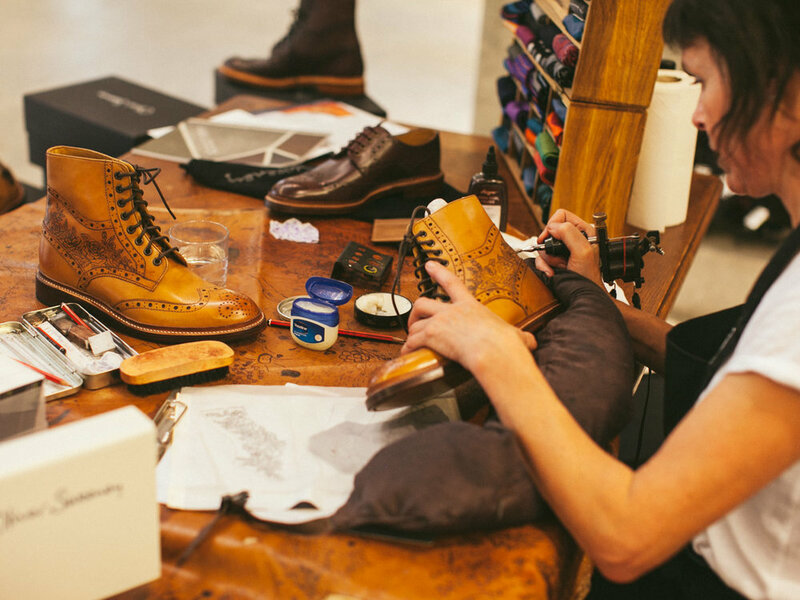 After approval, your order will be placed and within two weeks your bespoke customised Oliver Sweeney piece is delivered at your doorstep. Alternatively, you can head to the brand’s Henrietta Street Club store where Sweeney’s Tattooist-in-Chief does demonstrations and one to one consultations too.